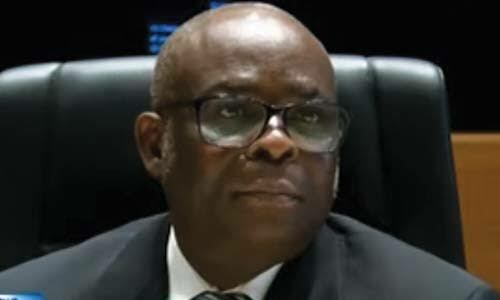 Former Chief Justice of Nigeria (CJN) Walter Onnoghen, who was suspended from office by President Muhammadu Buhari in January over assets declaration matters, was absent at his trial Tuesday by the Code of Conduct Tribunal, reportedly due to high blood pressure, it has been revealed. The court had on Monday ordered a day-to-day trial of Justice Onnoghen over allegedly not declaring or disclosing his assets as prescribed by law, and for maintaining foreign bank accounts. This was after the tribunal reserved ruling on his two applications challenging his trial till the day of its final judgment on the the substantive case. However, when the trial resumed today, Onnoghen was absent in court. ‎His counsel, Chief Adegboyega Awomolo, SAN, explained his absence on medical grounds while tendering a medical report to support his claim. The said report, among other things, stated that Justice Onnoghen was suffering from high blood pressure and needed a 72-hour bed rest.